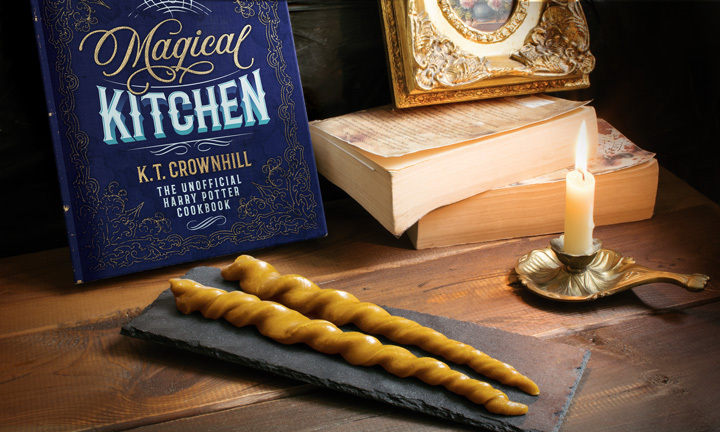 The Art of Wizardry helps all Wizards & Witches to find perfect recipes & party ideas inspired by the magical world of J.K.Rowling’s Harry Potter. The Magic Library stores a collection of free printables: acceptance letters, invitations and drink/potion labels for your next party (or just for fun). K.T. Crownhill is a professor at the Art of Wizardry School of Magic. She is a professional witch with over 65 years experience in brewing potions and crafting enchanted food illustrations. Miss Crownhill lives in a hut on chicken’s legs, hidden somewhere in an Eastern-European forest, together with her seventeen cats and a pet dragon named Jerry. Can I use your photo on my blog/website? Who took the photos/drew the illustrations? All the recipe photos were taken by me, I have also drawn the recipe step-by-step illustrations. Some graphics in the printables are sourced from the public domain, but they were put together at the Art of Wizardry studio.